There I was on the eve of the 20th, all set to write a great article about managing ADHD procrastination with a small rewards system, when sickness struck. I'm not sure what it was, but I spent almost a full week comatose on the couch. I had food, but no energy to cook it. I had paid subscriptions to online video services, but forgot to pay my internet bill. What happened to the scheduled payment? Why didn't it go through? I didn't have the strength to find out. I then realized weakly that Netflix, Crunchyroll, and DramaFever were not going to succor me back to health. There was a free WiFi network out there in the neighborhood that taunted me in my low-grade delirium, but it allowed me to connect without Internet. Evil swine! How dare they mock the sick? By the time I began to recover last Friday, the 20th had long passed. Then one of my daughters announced that she was tired of switching back and forth between parents and had decided to live permanently with her mother. As the bottom fell out of my world, I knew that I wouldn't be writing much of anything for a few days. So here I am on the eve of October and I'm finally able to write something. It's not much, and it won't likely improve your life, but I do have a few things to share. I manage my mental health proactively, and you should, too. My heart may have a bona fide reason to feel as if the weight of fifteen years presses it into the ground, but there is no reason to be suicidal. I do feel rejected and useless. I lost out to the bedroom of her own and the close proximity to friends & school. If only I had realized this when I signed a new lease three weeks ago. I would have found a way to rent a castle in a closer neighborhood or die trying. But these regrets are just the foolish imaginings of the mind. What happened happened as it happened. There is no way of telling Life, “I need gas? Why didn't you say something 50 miles ago at that last exit‽” You just have to get out of the car and hoof it as best as you can. I went out for walks. I climbed the three flights of stairs at my apartment building over and over again. I cleaned my kitchen until it shined. I called friends when I was low. I forced myself to go to church. I made sure I got at least 6½ hours of sleep a night. 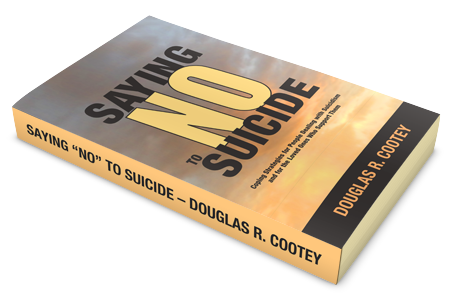 I wrote in my book on overcoming suicidality. I baked cookies and gave them to people. 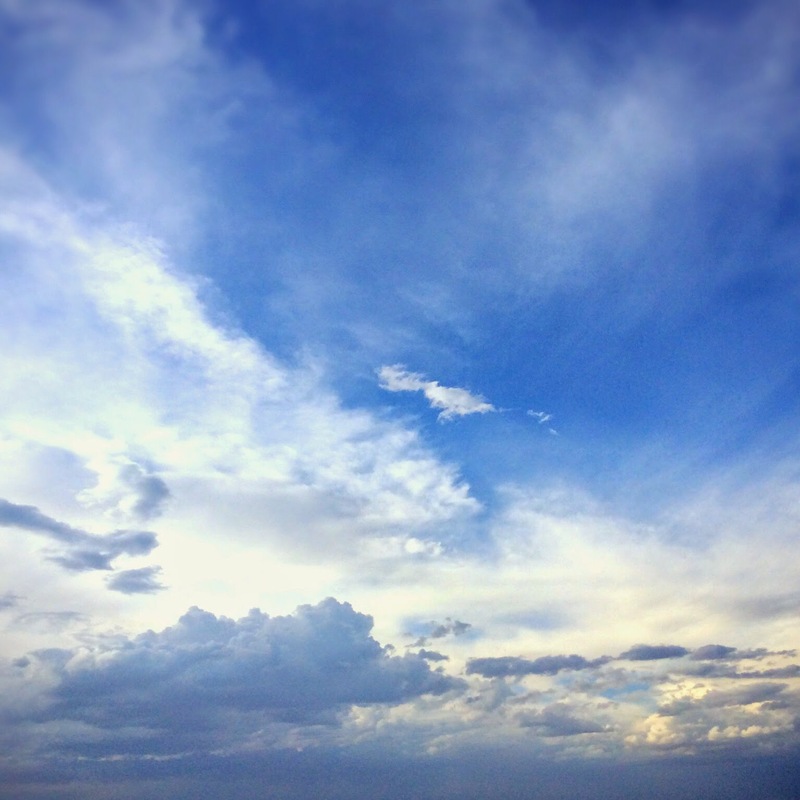 I took photos of clouds. I shaved. I dressed. I lived. I am told all the time that my depression isn't as bad as losing somebody or having something tragic happen to me. People like to believe that their pain is the only true pain. They are either selfish or clumsily trying to cheer me up. “Don't worry,” they seem to say. “It's only in your head.” Yes, but so isn't their emotion. It's all a chemical response, isn't it? For them, they require blunt trauma to the heart before they sink into despair. For me, my heart is apparently more frangible. Sometimes, I don't even need an event to trigger depression. It could simply be because today is Tuesday. That doesn't mean that the depression is any less intense because it is false. But you know this, don't you? That's why you're here. I want you to know that you can manage your life and keep yourself from drowning. Believe in yourself and keep pushing against the tide. Eventually, you can get momentum turned around back to the shore. Be creative. Don't just choose one coping mechanism. Determine to be happy and fight for it. Only one daughter stays with me now, and the writing is on the wall. They all will leave me for their mother eventually, and why wouldn't they? Mothers and daughters have a tight bond. Although my forever family is a fractured family now, and my heart feels broken, I do not wish to die. Not even once did I think it. I'm not happy by any means, yet neither am I in the throes of depression. That is a victory for me. I wish you luck in your victories as well. I'm doing it now as I write this. Sitting still to think would be too overwhelming. Clouds heal me. Daft, yet deft therapy.